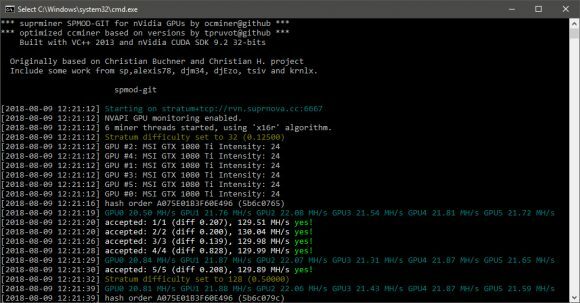 Another update from sp on his open source and free fork of supminer (ccminer) called Raven x16r/x16s Spmod-git #6 (source) that promises another +10-15% performance increase (Optimizations to aes, echo and simd) over the recently released Raven x16r/x16s Spmod-git #5. The only not so good thing is that this miner comes at a time when X16R and X16S mining is not very profitable to be mined, but that goes for many other algorithms as well in the currently low profit period for mining. The Github repository only has an official Windows binary, 32-bit CUDA 9.2, so if you need something else you would need to compile from source yourself. 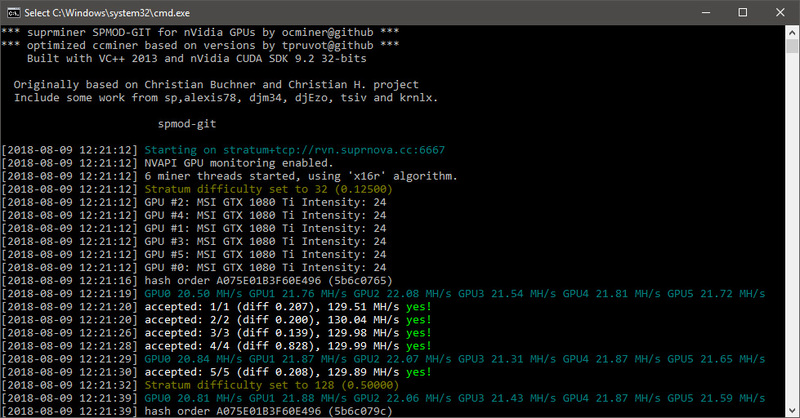 With the latest Raven x16r/x16s Spmod-git #6 the miner is trying to compete for the top spot performance wise with the other fastest X16R and X16S miners out there. Performance wise the spmod-git #6 seems to be slightly faster than T-Rex and z-enemy 1.14, but could be just a bit slower (in some of the algorithms) behind the latest z-enemy 1.15a. However you should not forget that the z-enemy miner is a closed source one and comes with a built-in 1% developer fee, while the Raven x16r/x16s Spmod-git #6 miner is free, open source and with no dev fee so taking that into account the end result in terms of hashrate you get maybe is already pretty much the same.